From treehouses and igloos, to castles and apartments, Airbnb is home to the most unique, expansive listings. But these options mean nothing if you can’t find what you want in 4.5 million listings, and the opportunity for meaningful host-guest connections is lost. The Airbnb community is incredibly unique. Guests come with varying preferences, each traveling for a different reason. Host goals vary, and they each bring a distinct perspective—some are entrepreneurs who host full-time, and others list when they’re traveling or want to make money on the side. No matter the reason for traveling or hosting, the experience should be seamless—for guests to find the listing that’s just right, and for hosts to have every opportunity to accurately represent their place. Herein lies our challenge: To design a system that allows hosts to showcase their homes in a way that attracts guests who will enjoy staying there. I lead design for Host Success, a team whose mission is to help each host reach their potential. Our team thinks about the challenges our hosts face, and how we can empower them to solve them. 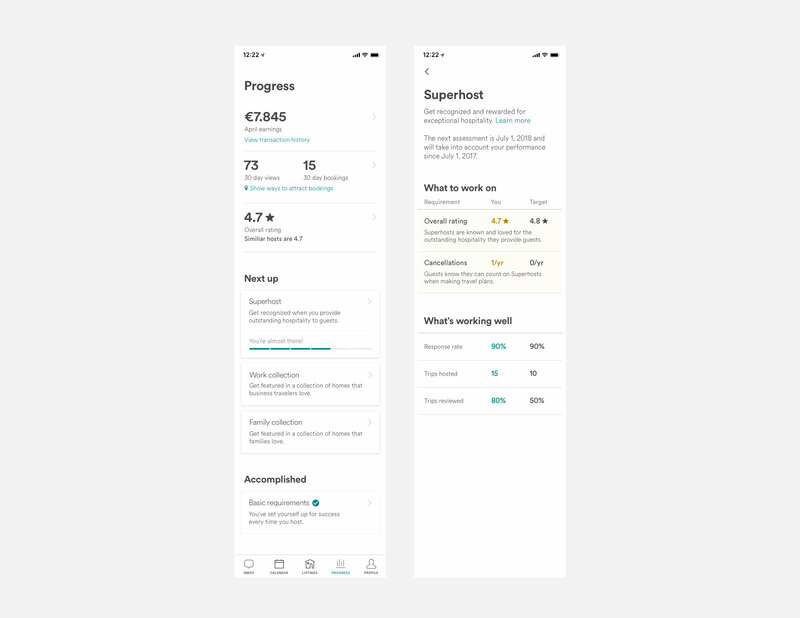 Here are two specific design challenges we solved for hosts for the recent Airbnb launch. With so many different options on our platform, every stay in an Airbnb is one of a kind. A challenge we face, however, is that listing pages don’t always provide a clear picture of the home—sometimes information is missing, other times it’s buried deep in the description. This can result in surprises come check-in. Unclear information hierarchy and guiding questions make it hard for hosts to know what information is important to keep updated, and how to most accurately list their homes. For example, hosts have hundreds of settings to modify—from wifi passcode to neighborhood descriptions—but the product wasn’t indicating when critical information was missing. Additionally, vague questions from us were causing inaccurate responses from hosts. For example, some hosts list their homes as bed and breakfasts because they serve breakfast in the morning. This inaccuracy isn’t on them though, because we haven’t clearly defined what a bed and breakfast is. To address these issues, we first defined what information mattered most to capture it in a structured way. Research and data helped us determine what guests need to know while searching—such as privacy information, shared spaces, sleeping arrangements, stairs, check-in and checkout processes, and parking. This informed how we prioritize what to ask hosts. Given of the number of listing settings, we created a guided flow to walk hosts through the update experience. To make the process as smooth as possible, the team made a few key decisions. 1. Optimize for objectivity. 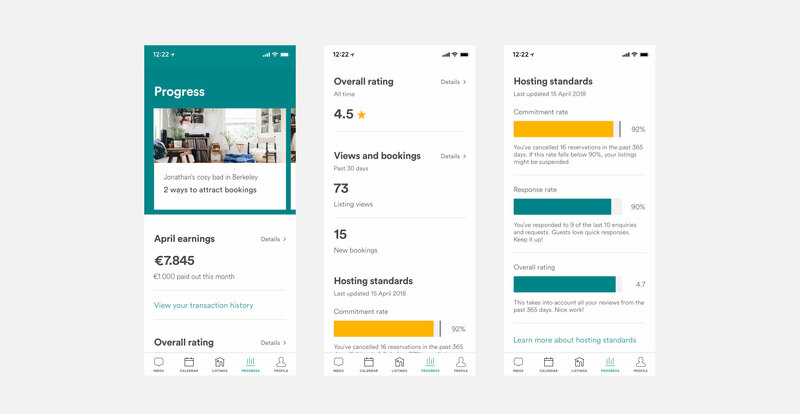 To eliminate the chance of misinterpretation, the Content team created clear definitions for 50+ property types on Airbnb. For example, bed and breakfasts are usually professional hospitality businesses that offer breakfast for guests, with a host who oftentimes lives on the property. 2. Make the experience regional. Hosts can see photos of each property type to help accurately list. 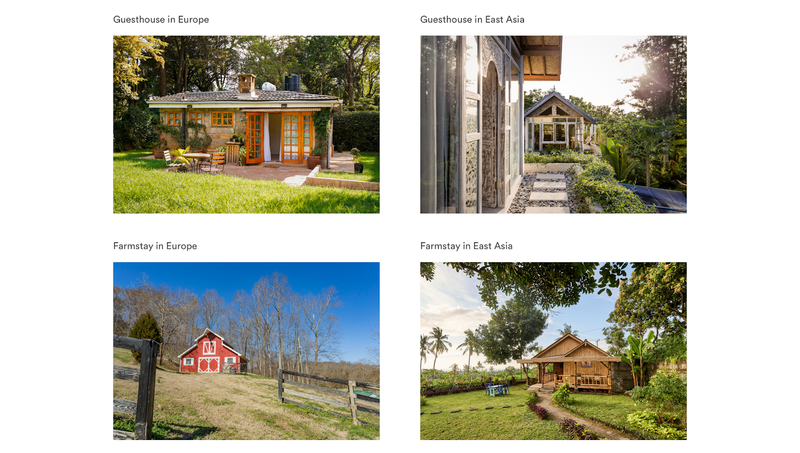 However, guest houses look different in East Asia and North America, so our Photo Ops team selected photography that best represents homes across the world. To accurately list every home, a lot of information is required. We’re exploring data collection systems—ranging from explicit asks of hosts, to automated solutions such as image processing and text extraction to more easily gather this information for our hosts and guests. 3. Define a taxonomy of data. To ensure we’re asking hosts the most relevant questions, we had to first understand relationships between the data. For example, a host should only be asked about a lock on the door if they’re listing a private room. The experience is now dynamic, only asking questions when necessary. With the launch came new features and opportunities for hosts—including Airbnb Plus, Collections, and Superhost. Because these programs promise a level of quality and are spotlighted in-search, they each require defined criteria ensuring the host (or their home) meet the set bar. Research showed us that hosts weren’t clear on their performance standing and what “good” means. For example, we heard from hosts who thought a 4.5 rating was good, whereas we know it’s lower than average. Other hosts were surprised when we notified them about being on-track for Superhost qualification. There was an obvious need for more clarity, so we took a look at our existing host performance trackboard to find opportunities to provide it. What used to be called the Stats page had a list of metrics—including response rate and star ratings—but lacked information on the value of reaching milestones, or what hosts could do to get there. The page was also long and overwhelming. This was especially problematic because we were about to add several new programs. We looked to performance reviews and report cards for inspiration, as they’re each specifically designed to provide clarity on strengths and growth opportunities. We then regrouped information as such, organized programs to show how hosts were tracking toward milestones, and created a system for hosts to compare themselves against global averages. Metrics are only meaningful when it’s clear what purpose they serve, so we explored avenues to bring inspiration into the product. We ultimately landed on naming the page Progress, as it speaks to the dynamic nature of the page, referencing a journey and, hopefully, inspiring a growth mindset for hosts. Being a people-powered travel platform isn’t possible without the leadership and support of the incredible hosts who’ve provided next-level hospitality for the last ten years. They’ve paved the way, influenced everything from design to messaging, and we’re constantly learning from them. The diversity of hosts and their homes is what makes Airbnb stand out. By empowering hosts to set clear expectations, providing them with opportunities to stand out, and supporting them in achieving their goals, we can make meaningful connections between hosts and guests around the world. Cecilia is a Design Manager leading the Host Success team at Airbnb. She loves reading and writing short stories, and crossing things off her tropical fruit bucket list.